What are the benefits of SeaDek? This is a question I get asked almost daily. For those who aren’t familiar with the product or have ever had it on a boat they want to know why they should put it on their boat. Like the applications for SeaDek, the list of benefits also very vast. I will cover a few of them, but the more the product is being used for different applications the more benefits we are discovering. The main reason SeaDek was originally created was to provide a nonskid replacement for boats. We put an embossed pattern we call micro dots into the pads which create a textured pattern. The combination of this pattern with the foam provides an excellent nonskid surface. You don’t have to worry about slipping and falling in your boat with SeaDek. This will increase the safety or you and the guests on your boat making everyone’s boating experience more enjoyable. Comfort, we are all looking comfort in everything we do in life. From driving to sleeping, comfort is always a priority and we are seldom happy in an uncomfortable situation. Why would a boat be any different? With SeaDek is doesn’t have to be. We provide a varitey of products in different thicknesses to suit the necessary comfort level for your boating experience. 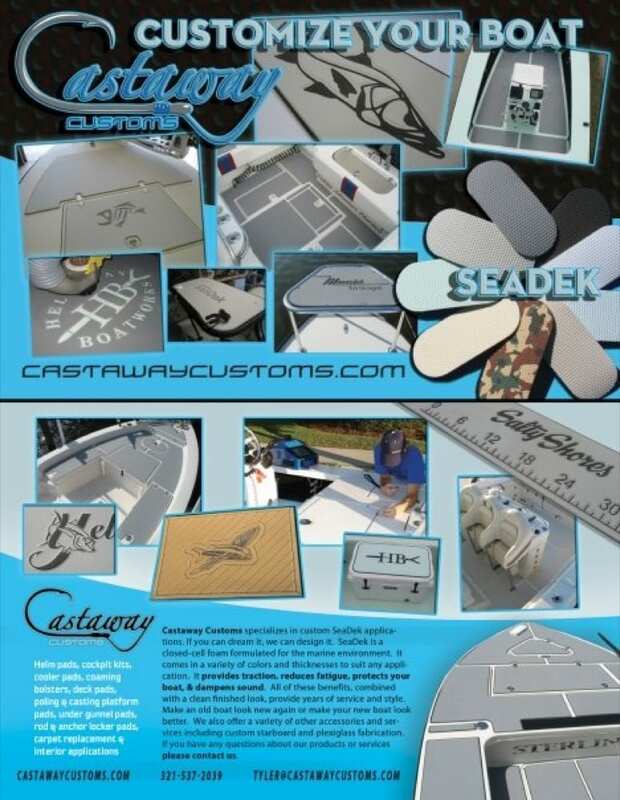 If you are trolling offshore all day we can provide you a 15mm helm pad to stand on; if you are are crawling up onto the swim platform of your wakeboard boat we can provide you an 8mm swim platform pad to sit and kneel on; if you are poling around a flats boat all day we make poling platform pads. No matter what type of boating you do SeaDek can make your boating experience more enjoyable. For most people owning a boat is a luxury item. Like all luxury items we like them to look good. One thing I have learned about a boat is that if you take care of it, it will do the same for you. SeaDek also makes your boat aesthetically pleasing. The wide variety of colors and capabilities to provide logos really allows you to set your boat apart from the rest. We all have a desire to be a little different and SeaDek is a great product to help you do that.